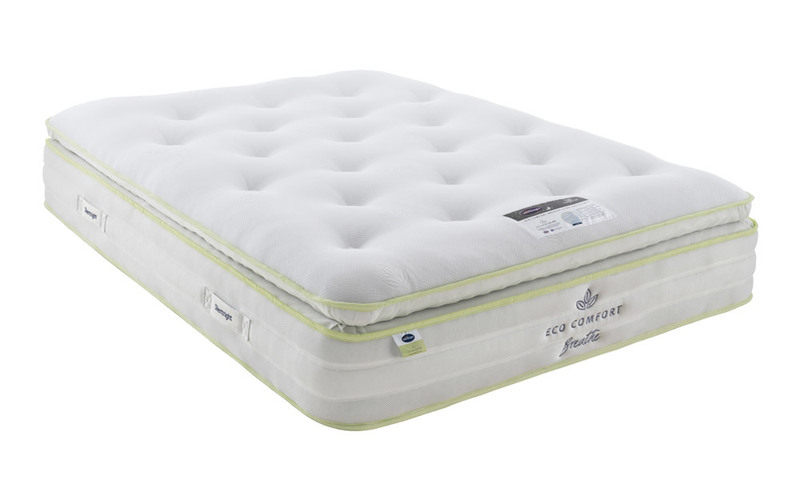 The Silentnight Eco Comfort Breathe 3000 Pocket Pillow Top Mattress is an extremely comfortable pocket sprung mattress, containing a sumptuous layer of recycled Eco Comfort Fibres™. Enjoy the pillowy sleep surface, as well as the moisture-wicking knitted Coolmax™ cover which prevents overheating during the night. This mattress is made with 2000 Mirapocket springs as well as 1000 Ultraflex mini-springs to provide your body with the superior support that it needs. Covered by a 5 Year Guarantee, make the greener choice and take advantage of Free Next Day Delivery, plus a Free Two Man Delivery upgrade to the room of your choice!